Wisely Select the Right Seeds for Your Plantings! Stop drooling…. Seeds of Change, Burpee, Seed Savers Exchange & Park Seeds are favorites for many! Others you may favor are High Mowing, Southern Exposure, Johnny’s, Annie’s, Renee’s, Seeds of Change, Territorial, Peaceful Valley & Baker Creek! And there are more! December, January is one of the happiest times of year for veggie gardeners! The holidays are when you give yourself your seeds for your whole garden for the year to come! Catalogs are out, you supplement what you seed saved yourself. If you have some old iffy seeds that may not germinate, you might want to order some fresh ones to make sure you get good germination! Beauty – what is the first plant you look at when you go to your garden? Tastes great. You don’t usually neglect that plant and you thank it when you leave. Footprint can be critical if you have little space or a short growing season – there are some biggies like artichokes. Kales can get pretty big and if you are where you can grow them all year, think where they will fit permanently. Plants you put on the sunny side beside/under bigger plants or that can be fillers until a plant that will get bigger slower than the smaller plant (Lettuces under and among Brassicas), need no footprint calculation at all! Since they are a companion plant that repels Cabbage butterflies, you will need a fair amount of seed! I plant a lettuce between every two Brassicas. You can order your plant in patio container size or huge! For example, there is a remarkable difference in cabbage sizes – 6” to well over 1’ in diameter. If a tomato, do you want determinate for canning or indeterminate for a whole summer supply, or some of each?! Determinates come in early, especially cold tolerant varieties. And what about the size of those toms? Do you want cherry snackers, saladettes, or large slicers for burgers and sandwiches? Does it serve multiple functions – leaves, fruit, seeds, a good compost enhancing ingredient. Beets are terrific – tasty nutritious leaves, wonderful variety of colors of the bulbs. If your soil has a higher nitrogen content, then your beets will produce more lush top growth rather than bulb production. You can plant chard if you don’t want beets! Companion plant – not only to protect another plant but enhance its growth as well, and is itself tasty to boot, or has edible flowers, is medicinal?! Like tasty Cilantro enhances Brassicas! Do you plant it because you like it or you ‘should’ grow it or everyone always has including your grandmam or mom?? How long does it take to mature? Can you do several plantings in a season for a steady table supply? What about planting different varieties with differing maturity times? Disease and Pest resistance is one of your most important choices, especially for mildew and aphids. Needs frequent harvesting to keep the supply coming? Peas and beans can keep you busy much longer than you wish. If you really don’t eat them that much but still would like some, plant fewer plants. Plant what you need, and that may take a few trials to find out! Same with cucumbers, especially long varieties. Please do support your local seed shops, organic farms, friends who save seeds. When buying from catalogs, always consider where their company is located and where their seed trials are conducted. If drought and heat tolerance are needed, buy seeds from sellers that know those problems as part of the years of their growing. Their seeds are developed from those years and there may be special growing tips you need to know. Be careful about high and low humidity differences too. Be sure the catalog companies you choose are well respected among gardeners, have a tried and true reputation. If it makes a difference to you, see who owns the company or contributes seeds to it. 4 Ways to keep Monsanto out of your garden! (2015) Are they organic, heirloom, non-GMO? How many seeds?! Allow a generous non-touching footprint between plants, that lets your plants thrive, produce more, and cuts down on disease and pest spread. Choose enough seeds for as many rounds (successive) of plantings you hope for. Depending on weather, you may get more rounds in, other years things go slowly. Get enough to cover losses. Those could be an erratic heat wave or a frost/freeze. Could be pests from slugs/snails, birds pecking out seedlings, to the local skunk or racoon uprooting your planting. Highly recommended to cover baby plants until they are up and strong, and BEFORE you install your seeds sprinkle something like Sluggo around your planting area at least twice (to kill the generations) . Mother Earth News and Cornell University do wonderful studies on the this and thats of gardening. Do consult their articles. Usually quite complete, thorough with details. Mother Earth News, located in Topeka KS is a huge organization, so their studies include conscientious gardeners from many parts of the country and gardeners with varied experience from beginner to forever. Cornell University, Ithaca, NY, caters to farmers and home gardeners! Universities advise farmers, so what they recommend is crucial to financial success of the farmers. Also check out permaculture writings online. They have some very clever insights about multitudes of gardening matters that save you tons of time and increase your production and happiness, even in a small garden! If you are in California and have never been to the Santa Rosa National Heirloom Festival, don’t miss it! It’s every SEPTEMBER and low cost! Seeds galore! Life changing experience! Children very welcome! Seed swaps, or the like, usually have seed shares at the end of January in southern locations like SoCal. In northern areas it may be later. Seed swaps are exciting and wonderful, and are a random event! There may be seeds there you want, there may not be. They may be old non-viable seeds or fresh as they need to be! Guaranteed you will come home with some you want to try! Use Seed Swaps as fun backups to your seed catalog orders. Reliable seed companies have a reputation to uphold. You know what the seed is, how old it is. If you wait until after the Seed Swap, seed companies may be sold out of rare seeds or seeds that they only were able to get a few of due to weather last year and such. However, Seed Swaps ARE LOCAL – seeds of plants that grew well near you! Free seeds are frugal and enjoyable! Meet other gardeners, learn lots! If you are a beginner, you will get great tips to help you get started. Continue the race of super plants, especially heirlooms, adapted to your area! Consider online seed exchanges. You can get amazing rare seeds! Do always be sure to support your local nurseries who answer your questions with good down to earth local experience! In Santa Barbara area Island Seed & Feed features several organic seed companies’ seeds and seeds from local growers by the teaspoon if that’s all you need! Find out who the veggie seed buyer is at your nursery, and who is also a grower, is up on new things too, and not afraid to make suggestions. If you have a special seed request, they may be able to help you! 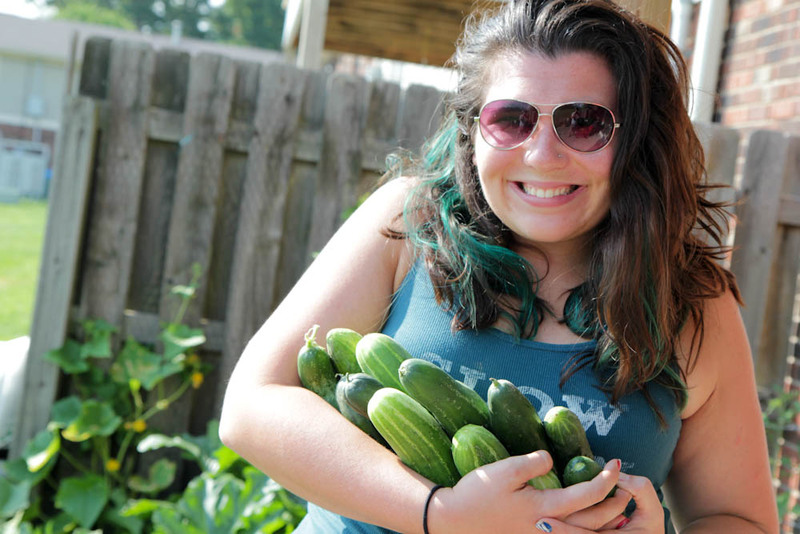 Talk with growers who supply your local farmers market! All this said, do make a couple of experiments, try something just for the sheer fun of it and don’t look back! 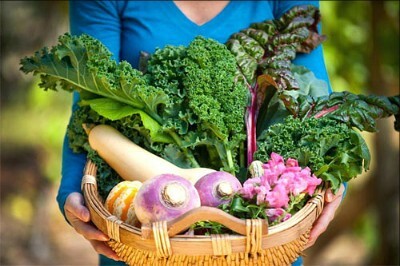 Enjoy your seeds, happy planting, enjoy the most fresh delicious veggies!